Federal summer meals programs provide a solution to summertime hunger for kids. Communities across New Jersey are increasingly offering free meals to children in the summer at schools, parks, libraries and other places where children congregate. 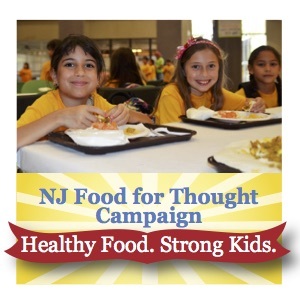 New Jersey recently rose to 6th place nationally for serving summer meals to more kids. Read the news release. Not only can kids get healthy meals, they also can connect with friends, engage in fun, healthy activities and get some exercise. Meals are available to children and teens up to age 18. On May 31, 2018, Governor Phil Murphy signed a law that requires school districts with at least half of students are eligible for free or reduced-price school meals to participate in the federal Summer Meal Food Service Program. This will go a long way toward combating childhood hunger. Districts must begin participating no later than Summer 2019. Parents need to know that these programs are available. The following are some effective outreach strategies that school, city and community leaders can use to ensure parents know these programs are available to their children. Engage the Community. Partner with local agencies, organizations and businesses to distribute flyers through schools, libraries, food pantries, child care centers, recreation programs, housing authorities, supermarkets, hospitals and other community locations. Download summer meal flyers here. School Outreach. Under a new state law, school districts are now required to inform parents about summer meals in their community, if more than half of students qualify for subsidized school meals. Here is a quick guide for easy outreach strategies that schools can use. Media Outreach. The local media is also an effective outlet for spreading the word about summer meals. View strategies and sample copy. Typically, a city or town has a summer meal sponsor (usually the school district, city or a community organization, such as the YMCA) that provides food to sites throughout the community. Some sites require children to be enrolled in a recreation or academic program. Others are “open” sites where any child can go to receive free, healthy meals. Learn about becoming a summer meals site. At open sites, parents do not have to provide proof of income or ID. They simply need to bring their child to a site in their community. While New Jersey has made great strides in serving summer meals to more children, just one-quarter of New Jersey’s low-income children received this essential nutrition in 2017. You can help change that by publicizing summer meals in your community. 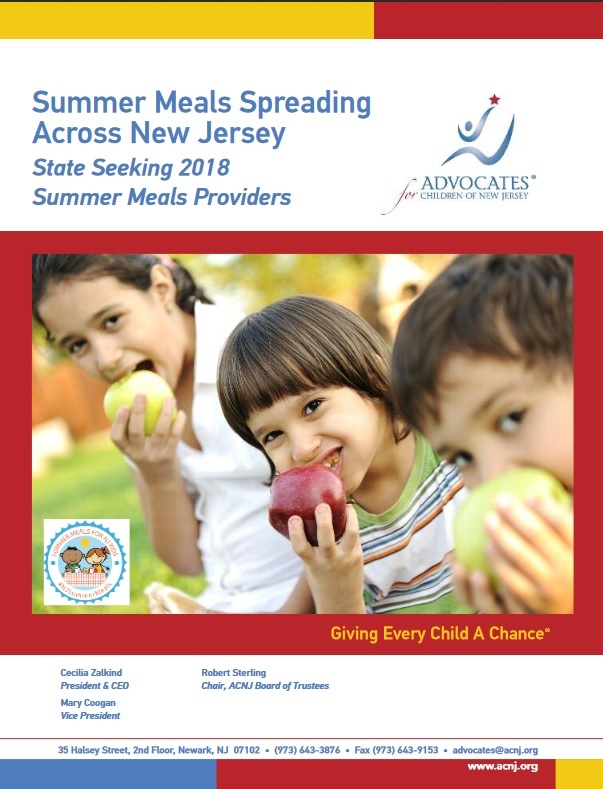 For more information about summer meals in New Jersey, contact the New Jersey Department of Agriculture at 609-292-4498, or visit the Department’s website. To find meal sites, visit the USDA sitefinder or text “summer meals” to 97779. Download local summer meals outreach fillable flyer (English and Spanish version). Flyer with contact information to NJ Agriculture. Download English and Spanish version.